Jason Reader is the brains behind J. Reader Construction. He started working for a contractor when he was just 18 years old. His goals grew along with his skills, and he decided to start a business with a partner in 2003. They went in different directions several years later after building a successful business, leading Jason to start J. Reader Construction on his own in 2011. The business has been going from strength to strength since then, building dream homes across North Carolina. We put our all into our designs to give you a high-quality, luxurious home at a price tag you can afford. Move into a high-end custom home that you’ll be proud to show off and call your own. Wondering how you’re going to afford your new home? We will help you secure sufficient financing to let you build or buy your dream home. We work with lots of lenders in the area, so we can connect you with the right one. J. Reader Construction has been matching people up with their dream homes since 2011, and Jason Reader brings his 25 years of experience to the plate to ensure that everything is done to the highest possible standards. Choose J. Reader Construction to support local. The man behind the operation, Jason Reader grew up in Lewisville, NC and attended West Forsyth, graduating in 1992. We also employ and work with local contractors and vendors. Are you uninspired when looking around show homes and properties up for sale? It might be because they weren’t designed just for you. With a J. Reader home, you can custom design your own home exactly as you want it. So, there’ll be no surprises when you move in and everything will be tailored to suit you. We don’t cut corners at J. Reader Construction, and the satisfaction of our past customers speaks for itself. We guarantee quality in every home we design and build, right down to the smallest detail. From the tools and materials we use to the workers employed and the level of work put into our builds, everything is top quality. Our team is here to support you throughout the entire process, right from the initial consultation to getting you through the door of your finished home. We’ll help you with designing your dream home, securing finance to pay for it, and much more. 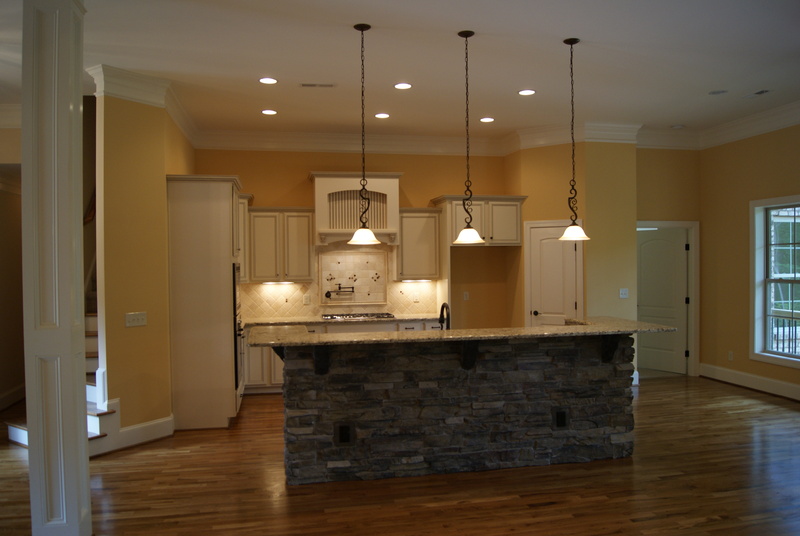 We’ll even give you a tour of your finished home to demonstrate its features. We know how to work to a budget. Let us know what yours is and we’ll figure out how to give you the biggest bang for your buck. We’re here to make your dream home as affordable as possible while still delivering everything you want to feature in it. J. Reader Construction homes are built with energy efficiency in mind. Whether you’re conscious of your impact on the planet or just want to keep your bills down, you can rest assured that your new home meets energy efficient standards. Owning your own home and paying regularly towards your mortgage loan helps to improve your credit score and, therefore, your purchasing power. This will give you a greater ability to make major purchases in the future. "My family and I are very fortunate to have a builder like J. Reader Construction. We have used this company a couple of times now and they have been well built and beautiful homes. If you are interested in building a home, they are the company of choice. You will not be disappointed." Browse our gallery of homes. WHETHER YOU’RE LOOKING FOR INSPIRATION OR PROOF OF TALENT, YOU WON’T BE DISAPPOINTED.